1) Ensure that your WordPress website is always up to date. Outdated websites have higher vulnerability. Whenever you receive a notification about a new updated version of WordPress is available, go to your WordPress dashboard and click on the “update” button. Before doing so, it is important to backup your site to ensure that you have a copy of it in case it breaks down. Note: Also make sure that themes and plugins are up to date. 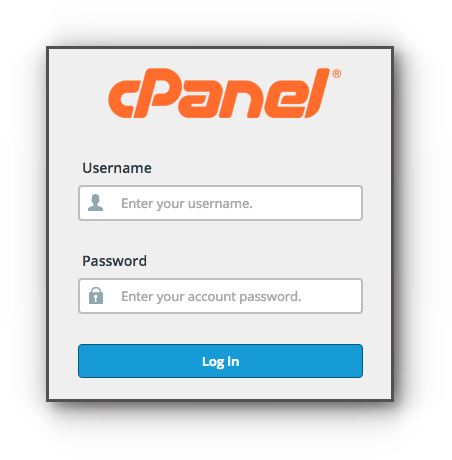 2) Change your FTP login details regularly. Step 2. Under Files category, click on Directory Privacy. Step 3. 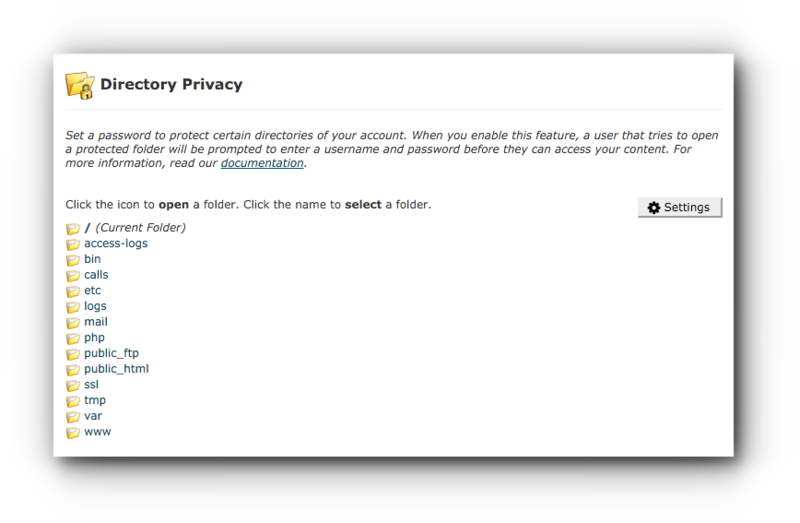 In the Directory Privacy, click on public_html folder icon if the wordpress folder is a subfolder. Step 4. Click on wp-admin folder. Step 5. 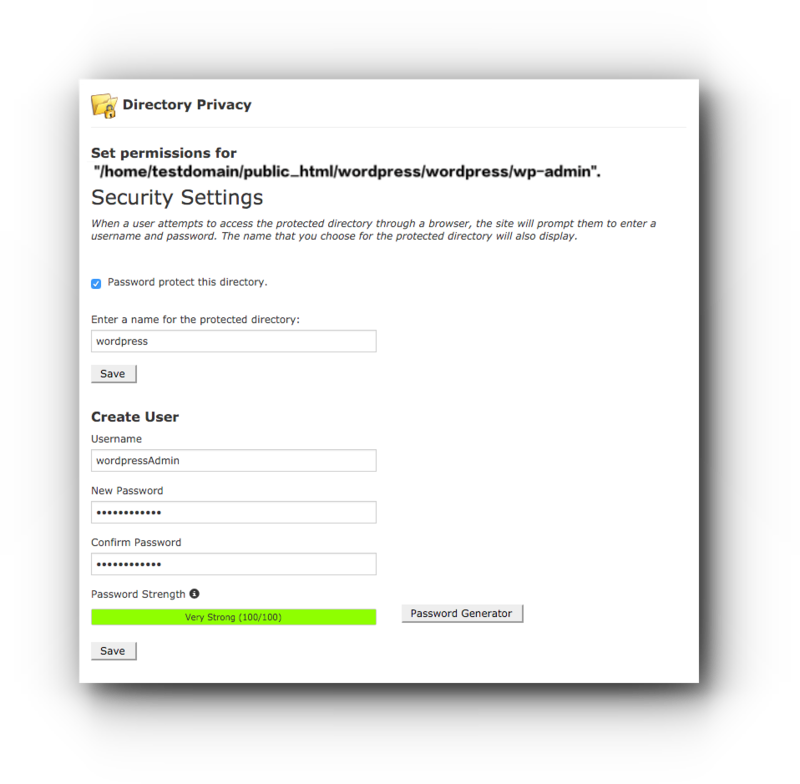 Enter the name of the protected directory, Username and password. Click on Save button to save the changes. 4) Error that you may see when you password protect your directories for WordPress. Shows error page not found. Some people still use “password123” or “P455w0rd” as passwords for their websites which makes it easier for the website to be hacked. Use strong password combination like upper case, lower case numbers and special characters. Aside from having strong passwords, enabling two-factor authentication will vastly strengthen your WordPress website’s security. Even if hackers have your username and password, a security code or token usually generated from your smartphone is asked before they can login to the dashboard. Google Authenticator plugin is one of the best security authentication tool for WordPress users. It provides a 2-factor authentication solution that uses the Google Authenticator app on Android and iPhone. Other plugins you can also try are: Duo Two-Factor Authentication, OpenID,Authy and Clockwork SMS. 6) Download Plugins and Themes from reputable sources. Before clicking that download button, perform a quick research – read the plugin or theme’s description, date it was last updated (very important! ), and ratings or reviews from other users. If you want to use premium plugins and themes, Elegant Themes, WooThemes, and Themezilla are some reputable sources we can recommend that you may use. 7) Keep your computer virus and malware-free. There are times that hackers are able to access your login information through security loopholes with your computer. The best way to stop this is to use an updated antivirus program. When a new software patch or operating system is released, make sure to upgrade them as soon as you can. A common username for the administrator in many applications is “admin” and WordPress is no different. For someone trying to compromise your WordPress site, they’ll need to know both your username and password to gain access. As admin is commonly used as the administrator, we’ve already done half the work for hackers as now all they need to do is guess the password. If you have a user with the username “admin”, it is a good idea to update this in an effort to make your wordpress site more secure. First things first, we will create a new user with administrator priviledges. Fill out the “Add New User” form and click “Add New User”. Be sure to enter something other than “admin” in the “Username” field. The “Role” should also be changed to Administrator. Now let’s remove the existing “Admin” user. Log into your wordpress dashboard as your new user and click “Users” in the left menu. Place a check in the box to the left of your “admin” user. In the “Bulk Actions” drop down, select Delete, then click “Apply”. NOTE: Remember that you can’t delete an admin user that you’re using to access the account. However, you can always add a new administrator and delete the old one.